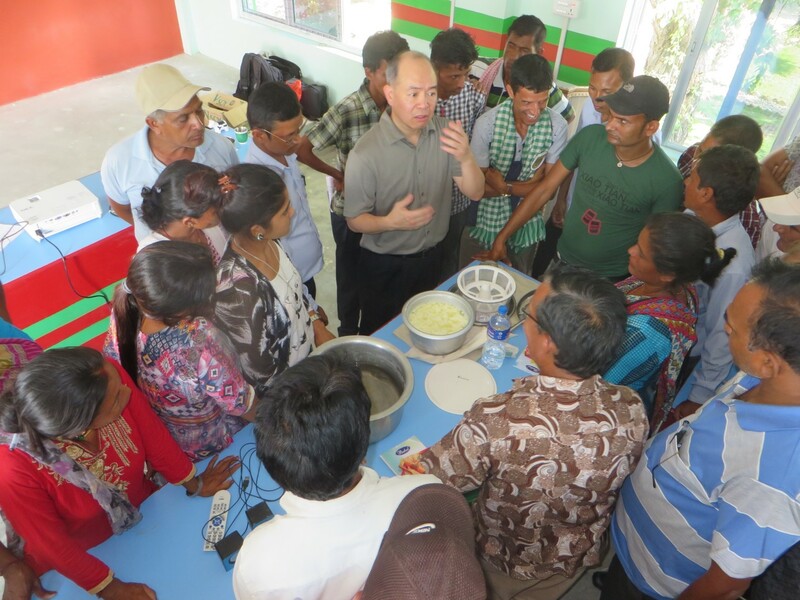 This blog comes from F2F volunteer, Dr. Steven Pao, a Food Science Professor at California State University, Fresno. 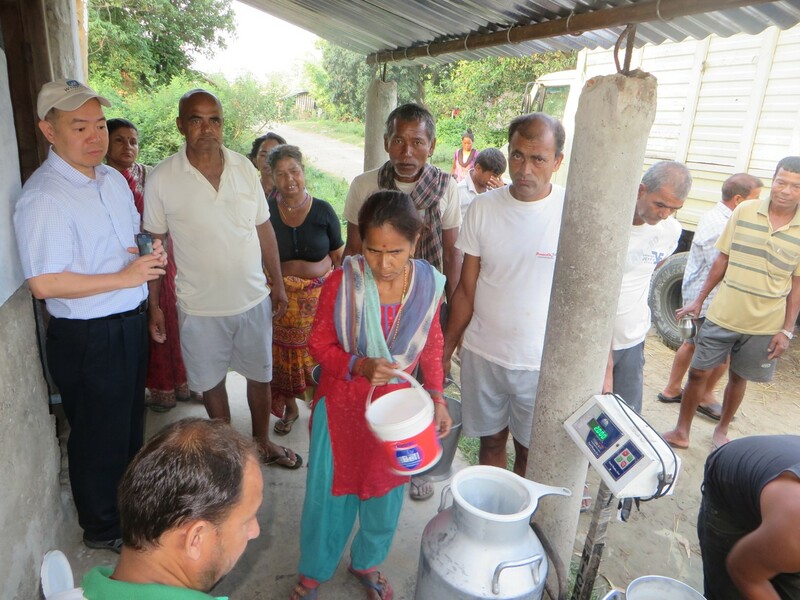 Dr. Pao recently volunteered in Nepal where he trained dairy farmers (63% youth) from Sana Kisan Krishi Sahakari Sanstha Ltd. on clean and hygienic milk production, safe dairy product development, product diversification, and product marketing. 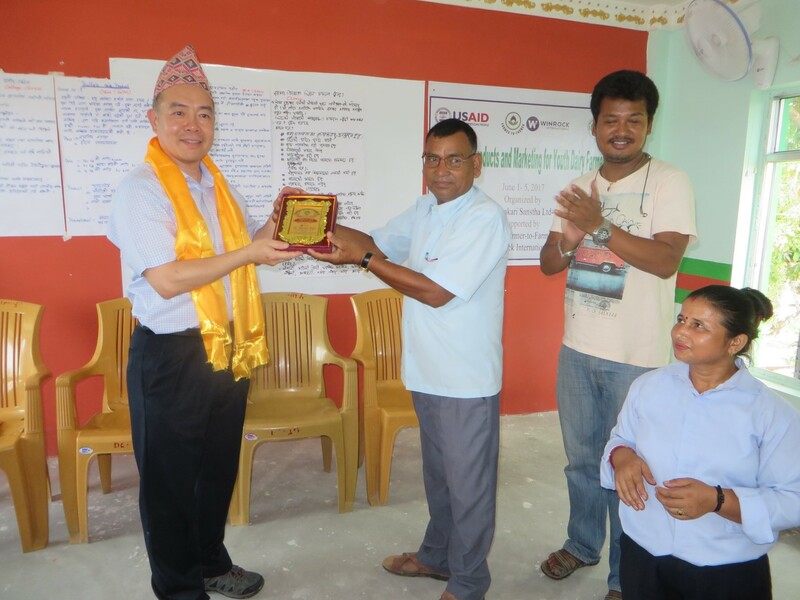 Mr. Dhruba Koirala, Cooperative Chairperson, noted, “Volunteer Steven Pao is a qualified volunteer on his subject matter as well as his deliverable methods and practical training approach was simple and remarkable to trainees. He is a highly recommend volunteer for the similar training.” This assignment hopes to build the technical skills of youth dairy farmers to enhance their employment and income opportunities. Sharing knowledge with local residents is always fun and rewarding and this is particularly true for volunteer Farmer-to-Farmer projects like this one. Before the workshop, the host cooperative invited me to visit their local dairy farms and milk collection stations. These observations were essential in helping me understand their current practices, and I used visitation notes and photos to generate a list of dos and don’ts specifically for protecting their milk quality. Building a high-level of awareness and consistent practice for sanitary operation was one of the challenges, since the dairy cooperative depends on many very small-scale farmers to provide raw milk. We soon figured out that developing standard operation procedures (SOPs) for sanitary milk collection was a necessary, yet achievable, objective for this assignment. During the 5-day workshop, with about 30 local farmers actively participating, we studied milk quality control and sanitation principles. The participants also worked in small groups to draft workable operation procedures. The self-generated procedures were then posted in the conference room, discussed in joint sessions, translated into English, and adopted by the participants to be used as their SOPs. Currently, the dairy cooperative’s milk collection center sells raw milk to both locals and out-of-town milk processors. There is an ongoing effort to develop a pasteurization capacity to help diversify their product line for better incomes. For this reason, the workshop introduced a variety of techniques on how to turn raw milk into value-added products (such as lemon cheese and Greek yogurt). The goal of this training was to help the farmers to understand both the benefits and challenges of product diversification. The participants recognized the importance of temperature, pH, and sanitation controls during the hands-on training activities. The workshop ended with a renewed commitment to quality milk and milk product production. I was honored to receive a Token of Appreciation plate along with a Dhaka topi (a type of Nepali hat) and a Khata (a traditional ceremonial scarf) in a heart-touching closing ceremony. Throughout the week, the host cooperation and participating farmers continually impressed me by their unwavering dedication and focus to effectively complete the training despite some of the hottest summer days. Also, it should be acknowledged that the workshop could not have been delivered so smoothly without Winrock International staff’s outstanding assistance in all communication needs; their assistance was invaluable. 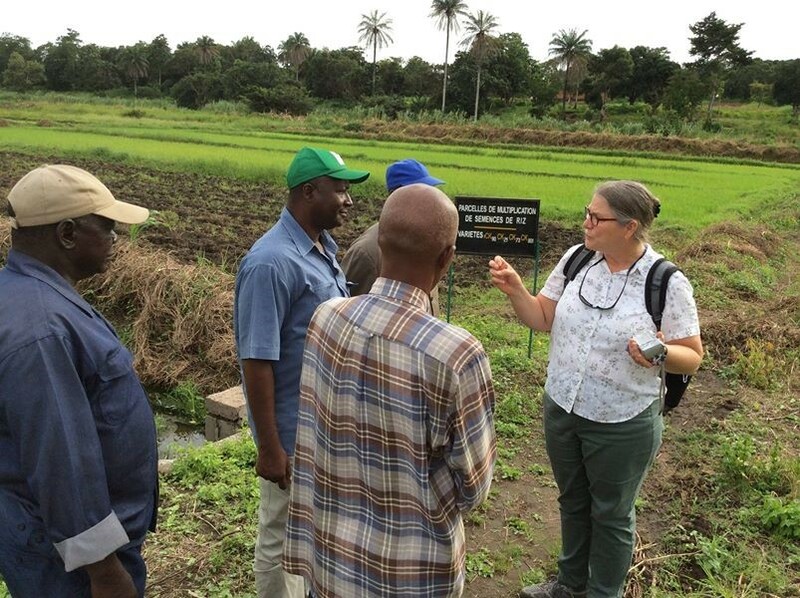 Last year I had a great time working with leaders of farmers’ organizations and extension workers, so I was happy to have a chance to come back to Nigeria to work with the Winrock team again. This time I built sack gardens with members of Awakening Nigeria for Agro-Allied International, an NGO in Kaduna. 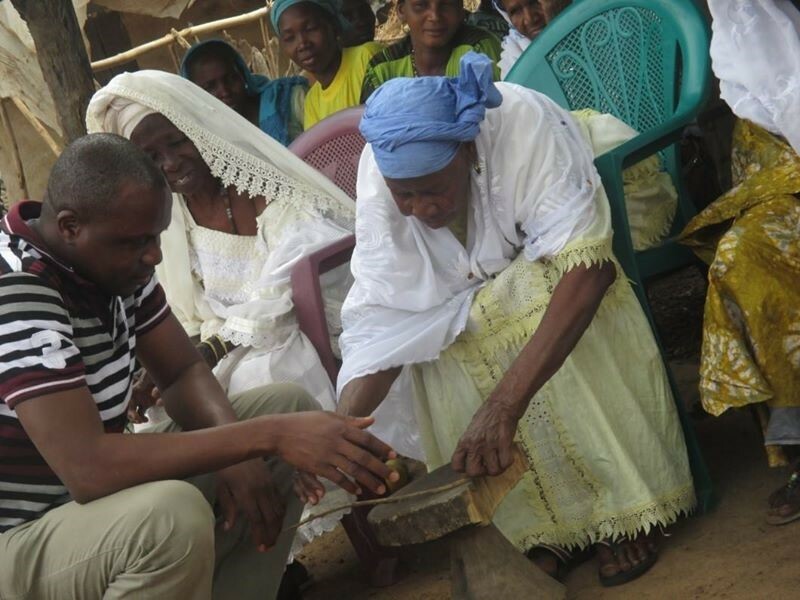 The idea is that the members will spread this knowledge to people in the Internally Displaced Persons camps, adopted villages and women who are less able to get out to the fields because of cultural reasons or insecurity. Sack gardening is almost as simple as it sounds: gardening in a sack instead of a pot. But it gets interesting when we use really big sacks—100-pound rice sacks or even larger. With a sack that large you have a large space for planting on top, but you can also cut slits in the sides and plant some leafy vegetables like lettuce, cabbage, kale or even onions. That multiplies your space and allows you to plant a small vegetable garden in the space that you could normally have just one tomato. Drainage becomes a problem with such a deep sack, so we have to add a column of gravel to help the water get all the way to the bottom. 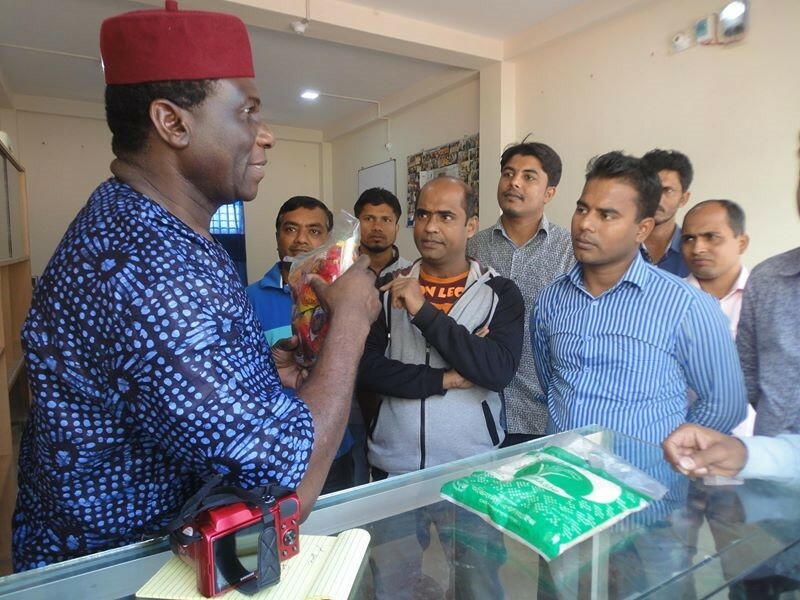 Just like my last experience in Nigeria, the participants were active, curious and eager to get involved. In two weeks I worked with three groups. Each group build at least one sack garden, and one enthusiastic group built six sack gardens, experimenting with different plants and soil mixes. But just growing more vegetables doesn’t improve nutrition. I also taught a nutrition component to help the participants improve family nutrition. Since the sack garden is perfect for growing leafy green vegetables, it is a great tool for Nigeria’s biggest nutrition problems– vitamin A and iron deficiencies. Just a few weeks later the emails and photos are already coming in. Members of the ANAAI have already trained other members of their communities, including residents of an IDP camp in Kaduna. And the results keep multiplying! To read more and view her video, please follow the link: http://www.annasnider.net/ to Anna’s blog. September 21, 2017 is National Teach Ag Day; a day to celebrate the impact agriculture educators make in their schools and communities. Agriculture teachers are key to developing essential life skills in students so that they will be successful problem solvers, leaders, entrepreneurs, and agriculturalists. On this special day, Winrock International honors our outstanding volunteers who make a global impact through agriculture education and training. 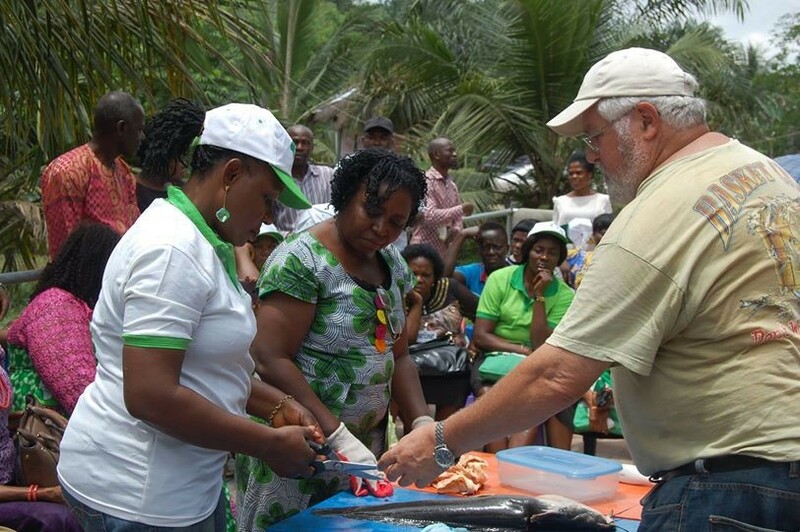 Winrock volunteers work with farmers, agribusinesses, education and extension providers, and other beneficiaries to promote sustainable improvements in the agricultural sector. 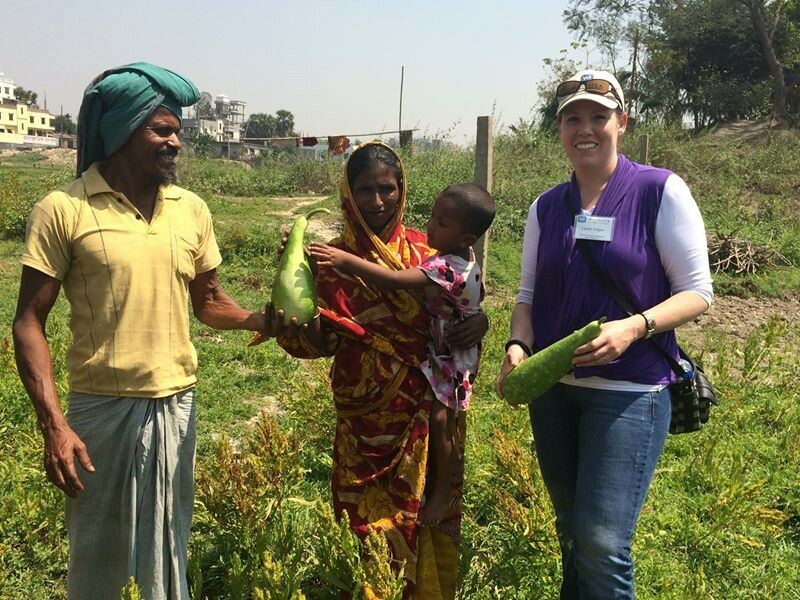 Many of our volunteers are professional ag educators who donate their time outside of work to improve the lives and livelihoods of people around the world. Since the beginning of the Farmer-to-Farmer program, Winrock has engaged over 600 agriculture educators as volunteers. A sincere thank you to the agriculture educators who contribute valuable time and skills to our volunteer programs, you truly make a difference! Winrock’s September Volunteers of the Month are dynamic duo, Dr. Jonathan Deenik and Dr. Glen Fukumoto. 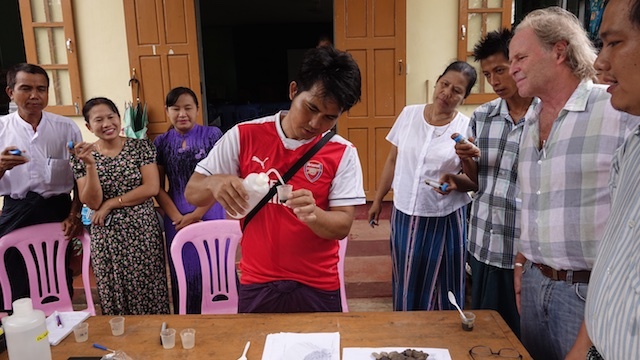 They both come from the University of Hawaii at Manoa and volunteered together this summer in Myanmar, providing training to 77 farmers in Hmawbi Township on soil quality improvement techniques, including soil fertility management and composting using poultry and livestock manure. Our Country Director, Dr. Ai, notes that these two volunteers have “strong technical expertise, high cultural sensitivity, the ability to adapt to and understand local farmers’ needs, an impressive teaching style, and complimentary qualities to form an effective team.” Jonathan and Glen have volunteered together in Myanmar three times and Dr. Ai explains that because of their work “our program has received positive impacts beyond our expectations; the trainees love them, respect them, and continue to request their return.” To learn more about the technical aspects of their assignment, check out our recent blog post. Deenik: Volunteering is an important part of my life. I volunteer regularly in community work days, taking care of agricultural land in my community of West Oahu. This commitment to volunteerism was solidified by my 5-years as a Peace Corps volunteer (1985-1991). What was the highlight of your most recent volunteer assignment abroad? Fukumoto: The resourcefulness of the host-farmer and the support in coordinating an unplanned demonstration on building a composting unit as part of the workshop session. 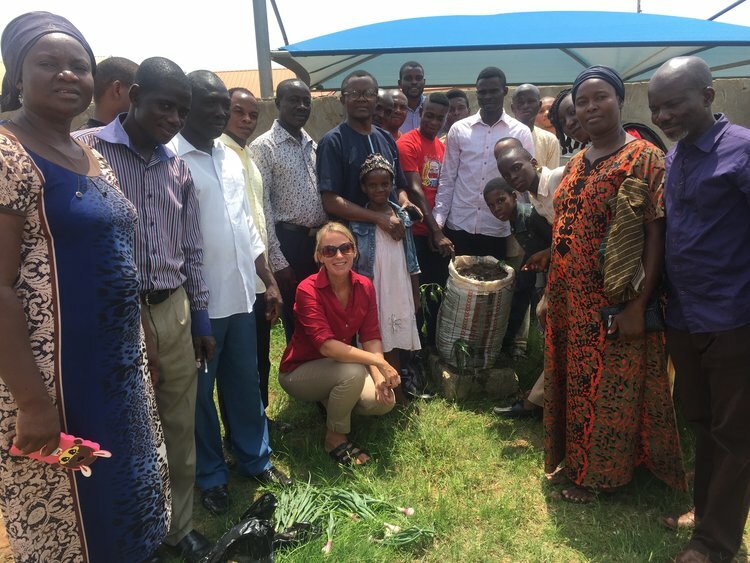 The host asked what was needed for the demonstration and gathered all the materials – carbon source, nitrogen source, local materials used to build the compost bins and aeration pipes, within 24-hours. During the day of the demonstration, he assigned a small farm crew to work with me in setting up the area and prepare the materials for the demonstration. What made your Winrock volunteer trip distinctive? Deenik: This was my third volunteer assignment in Myanmar. The growth, deepening, and fruition of our special relationship with the Myanmar staff, especially Dr. TK and Dr. Ai, is DISTINCTIVE and immensely rewarding. How does your experience affect your world view? Fukumoto: The Winrock F2F volunteer experience makes you realize how little we know of the world. The country borders are not simply lines on a map, but are a place rich in traditions, culture and different values and the struggles and triumphs of its people. Through the farmer-to-farmer program we develop relationships with the people and their community, with hopes of advancing and improving environmental quality, or food production, or the individual lives that we touch. At the same time, these assignments enrich ourselves with new friends and knowledge of a new place on this planet. What advice would you give a new volunteer? Deenik: Practice humility and patience, and above all have fun. Fukumoto: Before your trip, read all the information sent out by your Winrock recruiter, heed all safety and medical advice, read as much as you can about the country and your related assignment and keep an open mind. While in country being respectful, being humble, and learning a few words of greetings in the host country language goes a long way, and don’t forget to enjoy the journey. How have your assignments made a difference in your own life?/Has your assignment caused you to do anything differently once you returned? Deenik: My life experience is enriched with each assignment, where I meet and learn from so many people. These experiences continue to humble me and reinforce the essential need to be tolerant and patient, but also intentional. Fukumoto: The assignments, especially in the rural agricultural settings, make you realize that many of your personal challenges and struggles are quite minor compared to daily struggles of the lives of the people we engage with. Living a simple life can be more fulfilling than climbing the ladder of success in our hectic and complex lives. On the first assignment, several volunteers embarked on the Yangon Circular Train (it’s a must for the first-time visitor to Yangon). You get the essence of the life in Myanmar and the warm hearts of the people. Nearing the end of the loop ride a nice gentleman, most likely a daily commuter on the train, greeted a colleague and followed with a simple question, “Are you happy?” Often in our busy lives we never think about our state of mind … but now I think about it more than before … and yes, I am happy. Why should people consider volunteering? Deenik: Volunteering with Winrock promotes the effective transfer of knowledge to communities who have requested technical assistance. It also allows volunteers to broaden their world view through meaningful human interaction. How do you feel about the support from Winrock? 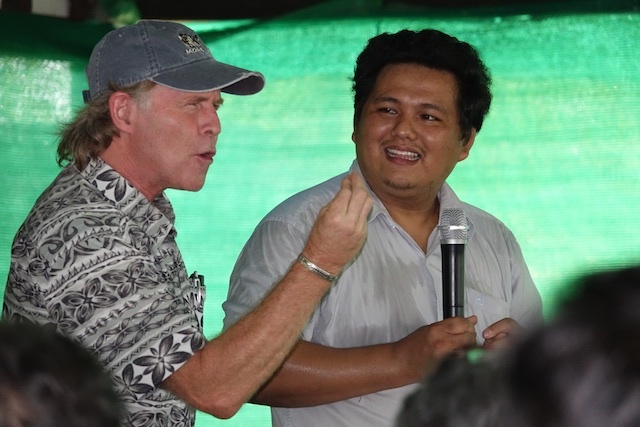 Deenik: The Winrock staff here in the U.S. and in Myanmar have provided stellar support. The assignments are well-researched and address a grass-roots community need, which makes for a meaningful and rewarding experience. Fukumoto: I would go anywhere in the world with the support of Winrock. The F2F program staff, from the preparation, arrangements, guidance/logistics and de-briefing by the recruiters, to the support from the field office professionals, are simply outstanding. Knowing you have the support/safety net in the background and the hard working and knowledgeable field staff, allows you to focus on the assignment. After the hard work is done, opportunities are provided for you to learn and discover the culture and the arts, the history, and modern life of the host country. When your friends/family find out that your volunteer assignment aboard, what do they say or ask? Deenik: They are always curious and interested in this part of my work. Recently, I spent more than 4 hours sharing pictures of my assignments in Myanmar and Guinea with my 93 year old aunt. She was fascinated. Fukumoto: Where is Myanmar? Why are you going? Is it safe? How’s the food? How do you feel that your volunteer assignment has contributed to create a shared understanding across different cultures through person-to-person interactions? Fukumoto: The Farmer-to-Farmer program and the outreach activities of interpreted workshop presentation and demonstrations has allowed us to share our ideas, best management practices, and farmer adoption/implementation examples from our work experiences. These experiences provide evidence/reinforcement that the presentations are not simply theoretical, but have practical/proven applications with successful results. Farmers understand and believe other farmers more than from academia; but by blending academia and direct farmer experiences, I believe, it brings a greater understanding of the principles and applications of the topics in the assignment. The visits with the host farmers are extremely valuable. The farm view through the eyes of the farmer provide a grounded understanding of the their issues and challenges of production, environmental concerns, marketing, and other local constraints that impact their operations. What keeps you going back to volunteer? Fukumoto: Genuine interest in sharing my knowledge and experiences in tropical livestock systems that can potentially increase farmers and livestock organizations knowledge and understanding, which I hope can lead to successes in the field for improved sustainability, productivity and a healthy ecosystem. Winrock volunteers, like Dr. Jonathan Deenik and Dr. Glen Fukumoto, are helping to #endhunger by building farmers’ resilience through improved soil fertility management and composting applications. On a recent technical assistance assignment in Myanmar, the volunteers had the opportunity to work closely with two farmer organizations. The organizations attracted approximately 130 farmers, local government agents, and NGO professionals to the workshops and demonstrations; covering topics on soil fertility management, livestock waste management, and composting. Dr. Deenik is a soil fertility expert and defines soil fertility “as the ability of the soil to supply essential plant nutrients and soil water in adequate amounts and proportions for plant growth and it is the foundation of productive, vibrant cropping systems. Soils, however, vary dramatically in their ability to store and supply elements essential for good crop growth. A sandy soil has limited capacity to store and supply plant nutrients whereas a finer soil with proportionately more clay will typically store and supply more nutrients. Soil fertility assessment is typically conducted through soil testing, which involves a series of chemical analyses to determine soil nutrient availability. On this assignment in Hmawbi Township, I provided training in soil fertility assessment to two sets of farmer groups. Training participants at both sites brought soils from their respective farms and we tested the soils for pH (acidity) and available nitrate, phosphorus and potassium using my mobile soil testing equipment. The reflectoquant® technology uses different test strips for nitrate (N), phosphate (P) and potassium (K) coupled with a portable spectrophotometer to acquire concentration values for each nutrient. The participants went through the extraction and filtering steps, and then used the test strips and the spectrophotometer to the assess NPK status of their soils. The farmers easily grasped the simple procedures and eagerly brought their soil samples forward for testing. With results for their soils in hand, I also provided them with the appropriate knowledge to interpret the test results and make fertilizer recommendations. After compiling the results, I highlighted the fact that many of the farmer’s soil samples were acidic to very acidic. Soils from paddy rice fields tended to show low nutrient status whereas soils from intensively managed vegetable fields were typically higher in nutrients – especially phosphorus. On the soils with low nutrient status, I presented some options for appropriate soil amendments including compost, manure, and synthetic fertilizers and presented some simple calculations to estimate the amount of amendment to add. In cases where soils had high nutrients, I emphasized to the farmers that fertilizer additions in these soils could be reduced to prevent nutrient loss to the environment with considerable savings to the farmer. Dr. Deenik observing participants soil testing skills. Dr. Fukumoto is an animal science specialist whose work focuses on on-farm projects in co-composting and nutrient management data collection. He describes composting as “one of the great wonders of the biological world. It is a natural process of aerobic microbial degradation of organic matter resulting in a stable and valuable soil amendment. During the second workshop series, we discussed the possibility of including a compost demonstration with Dr. Thet Khaing, Project Management and Communication Specialist for the Winrock International Asia F2F Myanmar field office. Dr. “TK”, as we affectionately call him, is a Doctor of Veterinary Medicine and provides volunteers with wealth of knowledge about all things Myanmar – from culture and history to arts and crafts, and recommendations to the best restaurants in town. The host farm was eager to support the last-minute addition of a compost demonstration to the workshop agenda. 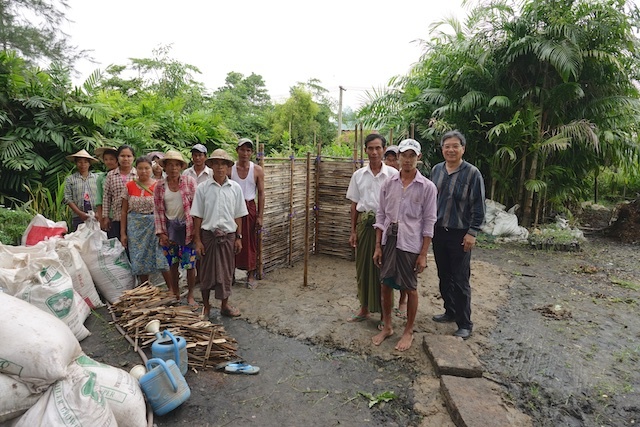 With the farm manager, I discussed the logistics of the demonstration: dimensions and design of the compost bin, requirements for carbon and nitrogen materials, water, and tools that were needed to build the compost pile. Everything was purchased, gathered and ready the next day. 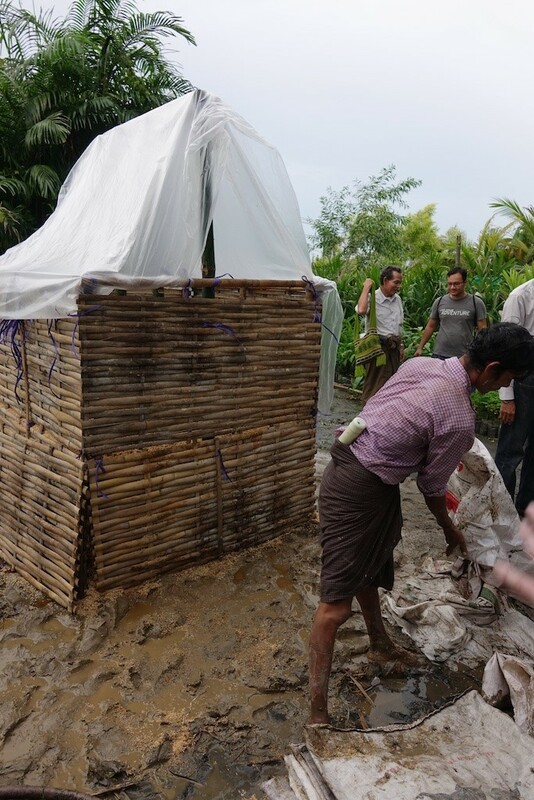 I worked with the farm crew, mostly through crude hand signals, and we completed the coolest compost bin I’ve worked on: woven bamboo side panels, custom-made bamboo aeration pipes, and a bamboo structural frame. 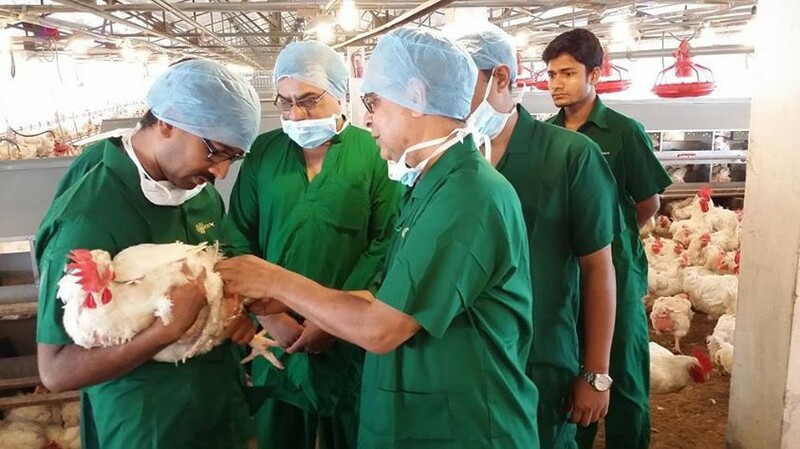 Rice husks were used as the carbon resource and the nitrogen was provided by poultry manure. I had hoped for a beautiful day for the outdoor demonstration; well, at least no rain during the build. Thankfully, it didn’t rain during the demonstration, but working in the hot and humid weather with my shoes anchored in the sticky clay mud, and being surrounded by over 70 eager farmer participants, many seeing a compost pile being built for the first time, was just another great experience of delivering practical information and introducing innovative and age-old technologies for rural agricultural development.